Knowledge development, as well as knowledge management, is a social and connective activity that is no longer easy for organisations to control. In this digitally connected world, anyone can gather content, curate it according to their own needs and share it with others regardless of where people live or work. Company (or school) control over information is almost impossible to achieve, even if it is still seen to be desirable. For most schools the situation varies from classroom to classroom, teacher to teacher and subject to subject. Traditional learning/teaching models fall very strongly into the top left-hand space, and the continuing dependence on textbooks, and focus on content, ensures that this will continue for many colleagues and their classrooms. Giving students the power to find and evaluate information results in a much richer learning environment, in which the teacher becomes a co-learner, both modelling information that is considered reliable and ethical, questioning what makes such sources valuable; and additionally, it allows for the vibrancy of serendipitous encounters. Invisible algorithmic editing of the web. These concepts present us with a great learning idea – having students search the same keyword and comparing what they get back could be very powerful. Where is your personalisation coming from? Problem with filter bubbles problem is we don’t get to choose what gets in and we don’t even know when things are being collected. Should we be grateful or concerned? 6.54 We are now back in 1915 on the web because we are being exposed to a selection of information over which we have no real input. Information curation and knowledge networks could either enable filter bubbles or break through them. It is our role to educate our students so that they know how these websites work and what they collect and present to each one of us separately. 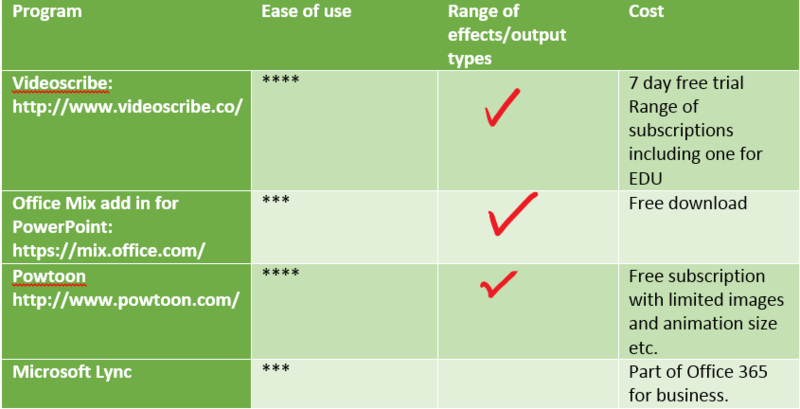 The way in which our actions are summarised and utilised differs depending on the website we are using. Comparing this to the way in which our library catalogues respond is a worthwhile educational exercise. The speed at which information is being added to the web in combination with these mining algorithms is a critical C21st skill, and one we should be including in our overall education programs. To balance information or to personalise it? The issue of who has control is the answer to this question. 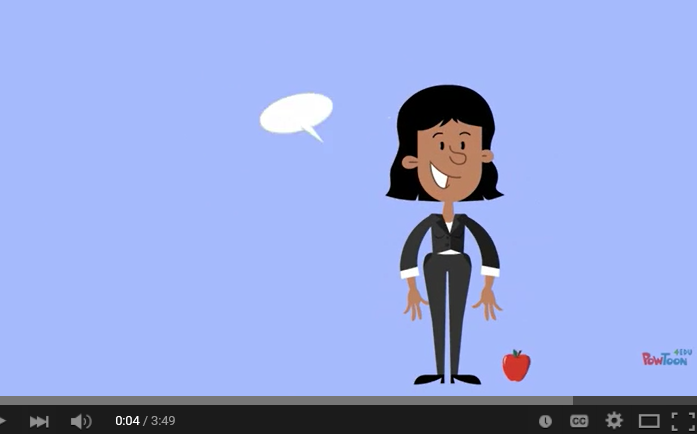 The image is immediately identifiable as a teacher – hence the apple; and the voice over makes clear that some pertinent advice is about to follow. There is a further appeal to teachers raised by the link to coffee houses being places where ideas have been exchanged sine the C17th – an empathetic touch. The transitions from screen to screen are smooth and the voice over clear and without error. The written and spoken words are appropriate for the images. The various aspects that Powtoon offers have been effectively applied and the animated segments keep the viewer involved. A range of concepts is clearly presented using words and supportive voiceover reflective of the intention to educate adults rather than children. Using Powtoon’s power to link images to concepts. Consistent understanding of the features and tools of the host service enables the presentation a range of learning activities, not multiple opportunities to learn how to use them. This is where assessing the artefact in isolation from its learning intention adds a layer of difficulty divorcing comments from overall purpose. This artefact demonstrates a strong understanding of constructional design and the application of Knowledge Networking theory to the creation of a Knowledge Networking artefact. It demonstrates Deborah’s very effective use of the selected digital tools for creative knowledge construction. From the opening screen of the artefact there is a professional polish to Heather’s work: a title slide with author acknowledgement. There is some information presented, followed by a clear statement of intention for the learning that will be addressed by the artefact delivered as part of the voiceover. Topic is clear from the start of the clip. Heather demonstrates a highly effective and seamlessly integrated use of digital tools for creative knowledge construction displaying a comprehensive understanding of the features of her selected platforms. The screencast middle of the artefact shows good integration with the animated beginning and end, but it is hard to see what is being shared clearly, and for novices this could be an issue. Again, the artefact may still achieve its learning intention despite this issue. This image is perhaps more difficult to interpet without a dgree of familiarity with the concept being modelled. A possible issue might arise for slower readers. Heather has a number of slides where two animated people are “talking” in speech bubbles at the same time – but this is a minor issue that does not detract from the overall excellence of the end product. Quality learning activities are provided by the artefact. Heather demonstrates an understanding of constructional design and the application of KN theory to the creation of a KN artefact. A range of concepts is clearly presented using words and supportive voice-over. The tone of the voice-over is encouraging. 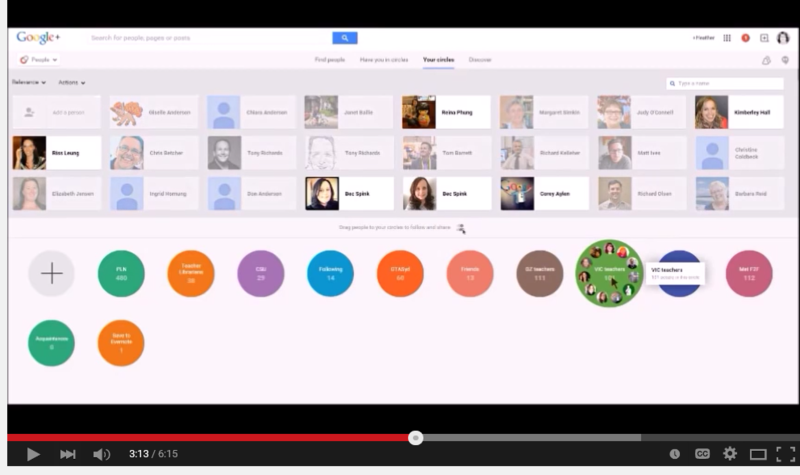 In terms of andragogy, this artefact offers a choice of tools to utilise, with specific instruction in Google +. Acknowledgements from applying knowledge networking. to the task. Heather has produced an effective and thorough artefact with flair and a strong attention to detail. Here is Greg Miller’s evaluation of my digital artefact. One of the best-known names in terms of digital artefacts and education is Salman Khan. His book: The One World Schoolhouse: Education Reimagined, presents his vision for an education that is free, world class and available to anyone working anywhere in the world (Khan, 2012, p. 1). In its 257 pages, it outlines the events and experiences that led to his development of the Khan Academy as a theory and in practice. It has resonated with my study of Knowledge Networking for Educators in many ways; starting with one of his selected opening quotes from Rabindranath Tagore, a Bengali poet. This sums up one of my concerns when observing the preparation and presentation of colleagues over the years I have been teaching: “Don’t limit a child to your own learning, for he was born in another time” (Khan, 2012, p. vii). 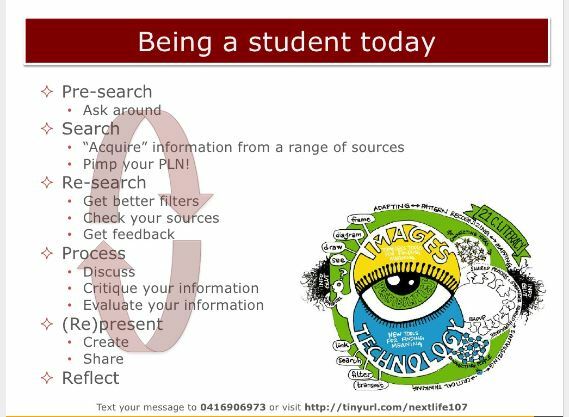 Using a range of digital resources made available to twenty-first-century educators, or specifically created by them, or presented by their students, is one of the most positive aspects of access to technology and Internet connections. Such resources enable a range of teaching goals to be met through media that can be easily personalized, incorporate feedback mechanisms and be accessed anytime, anywhere, as often as required by the learners who use them. While teachers must meet the requirements set by a mandated curriculum and assess within a standardized structure, they must also accept that no two learners are exactly the same (http://www.vcaa.vic.edu.au/Pages/index.aspx). Standardizing works with curricula but not with the human brain (Khan, 2012, p. 52). Changing the system is difficult because it is the normality to which we are accustomed (Khan, 2012, p. 61). Khan compares it to the Prussian model, which he acknowledges as revolutionary in in its time, but partly designed for the purpose of turning out tractable citizens who were imbued with the value of submitting to authority (Khan, 2012, pp. 76 – 77). Mitra and Khan both consider teachers as integral to the learning process due to their unique gifts (Khan, 2012, p. 74). The difficulty for teachers in terms of avoiding the “Swiss Cheese” effect (where students have gaps in their earlier learning that cause them to “hit the wall” later) is their inability to provide sufficient time for all students to develop deeply functional understanding, due to the pressure of needing to have students ready to take scheduled tests (Khan, 2012, pp. 86-89). How do teachers fulfil the needs of the students and those of the curriculum at the same time? What is the role of homework in this equation? Khan quotes a student who says, while he gets less homework than at his previous school, he spends more time working on harder tasks and feels a real sense of accomplishment when he completes the tasks (Khan, 2012, p. 107). Khan’s video library academy has successfully provided access to learning materials that have been used successfully by students all over the world. While not designed with the intention of supporting “Flipped Learning” models, it has been used in this manner, which Khan sees as a double edged sword (Khan, 2012, p. 117). Despite the focus of flipping being to free up class time to delve into topics in a more stimulating manner using the advantages of face to face interaction, it is still based on the basis of the Prussian model of age based cohorts moving through topics within a set time frame (Khan, 2012, p. 118). In his reflection on the differences between pedagogy and andragogy, Khan considers the importance of the emphasis. In the former, it is on the teacher; in the latter, the learner (Khan, 2012, p. 175). The key difference between the two, is, of course, the focus on choice: adults who want to learn are making that choice for themselves. Sugata Mitra, in his hole in the wall experiment, has demonstrated the power of children pursuing something because they want to know about it. Khan also poses the question: is andragogy appropriate for everyone (Khan, 2012, p. 176)? Khan presents a broad view of the value of technology, nominating an enlightened approach as crucial (Khan, 2012, p. 123). He rightly emphasises the need to alter the whole learning process: the methods, goals and assessments and thereby liberate teachers from the mechanical chores and replace them with human to human interaction (Khan, 2012, p. 123). If school is to continue as the place where education occurs, it must offer something beyond what can be done from textbooks or online; the obvious difference is the face to face social interaction which teachers in classrooms can facilitate. Davidson, C. N., & Goldberg, D. T. (2010) consider some of the aspects of this in their work focussing on the way in which institutions should be different in this digital age. There are some schools which are challenging this paradigm of education: Templestowe College Bridgemary Community School in Gosport, Hampshire, UK, and Hodgkins School, Adams County, USA, are examples of this. Unfortunately, the effects of such changes will emerge over time and for many in leadership the risk is too big a requirement. Hybrid models which are enthusiastically recommended by those who have set up such learning programs, occupy the middle ground. Northern Beaches Christian College in Sydney is an example of this. “We have deliberately removed many of the restrictions that “traditional” schools place on students, such as year level structures, single age classes and authoritarian hierarchy structures. We do have a vibrant and productive learning atmosphere, scheduled class times, a uniform which is worn with pride and very high standards of respect shown for one another”. They are still meeting the curriculum requirements for the Australian Curriculum Australian Curriculum, Assessment and Reporting Authority. (n.d.). Northern Beaches Christian School in Sydney has created a model that is somewhat hybrid, falling ideologically between the examples above and the traditional model of school. Their Principal, Stephen Harris is proud of the project based learning embedded into their curriculum, describing students as authors of their own learning journey, co-creating their learning with teachers as mentors, experts, and guides. Khan proposes a change to the way in which teachers are deployed, not a reduction in teacher numbers. His solution to the loneliness and isolation of conventional classroom practice is to see teaching as a team sport and facilitate this by placing between 75 and 100 students in a large space with 3 to 4 teachers (Khan, 2012, pp. 197-198). He also postulates that school would better serve its purpose of educating young people if it became a perpetual offering, much in the manner that Cheryl Heron foresees at Bridgemary Community School. The fluencies of C21st learning are well suited to this type of model (Crockett, L., Jukes, I., & Churches, A. 2011). Khan is putting into practice some of the theories postulated by those such as Lemke (2010). Where does all this leave teachers debating the value of digital artefacts? Like any resource, there is a time, place and student whose learning will benefit from viewing such a production. Effective teachers will apply their skills to selecting artefacts recorded by others and making appropriate examples themselves. As with any other tool, digital artefacts will provide an addition to a personal toolbox developed since these teachers began their professional training. Crockett, L., Jukes, I., & Churches, A. (2011). Literacy is Not Enough, 21st-Century Fluencies for the Digital Age. Corwin. Davidson, C. N., & Goldberg, D. T. (2010). The Future of Thinking: Learning Institutions in a Digital Age. Cambridge: MIT Press. De Saulles, M. (2012). 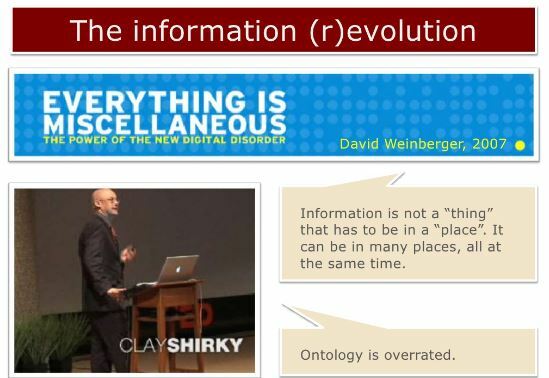 New Models of Information Production. 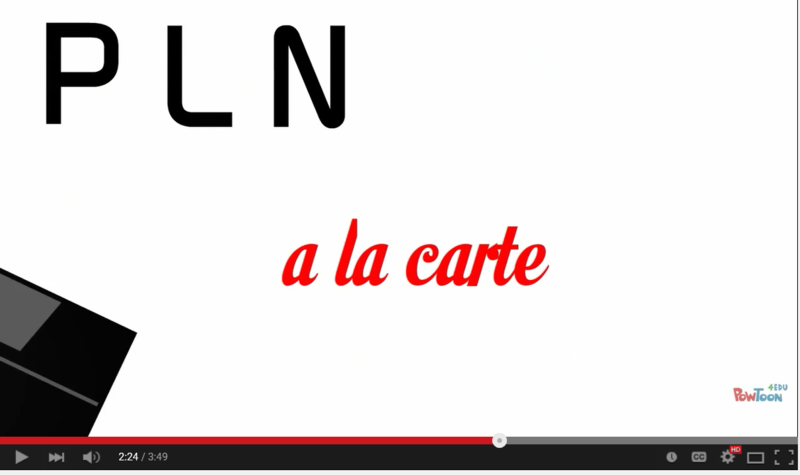 Information 2.0: New Models of Information Production, Distribution and Consumption., 13-35. Khan, S. (2012). The One World School House: Education Reimagined. London: Hodder and Staughton. Lemke, C. (2010). Innovation Through Technology. In C21st Century Skills: Rethinking How Students Learn (pp. 243-274). Bloomington: Solution Tree. I started thinking about this task from the perspective of where our staff are at with their ICT. In order to confirm my intuitive understanding, I created and circulated a survey using Google Forms. The results can be found here. Our school is a relatively small, regional college offering both curriculum and co-curriculum options equal to those conducted by far bigger schools. This means our teachers are incredibly busy, and professional learning needs are thinly spread to cater for our diverse programs. We have had interactive whiteboards and tablet PCs provided in our workplace since 2007 yet the change in pedagogy has been minimal. There has been an assumption by some of our leadership team that ICT does not need further professional learning opportunities because the need has already been met. Given the nature of the changing technology and software programs, this means that teaching and learning through technology has primarily been focussed on presenting and processing. Since 2012, year 9s have been issued with a tablet PC with digitised pens similar to those used by staff. The power of the pen is something that has been seen as critical by the team choosing the device (and research is now starting to support this decision). The students new to devices, years 6 to 8, will be issued with an iPad. In order to prepare for this, all staff working on the senior campus have now been issued with an iPad so that they can prepare for next year. This decision has been met with concern, and there has been a groundswell of discussion about why our current devices are educationally appropriate, and the new devices will not offer the same power or flexibility. It is this educational future that I wished to target with the design of my artefact. 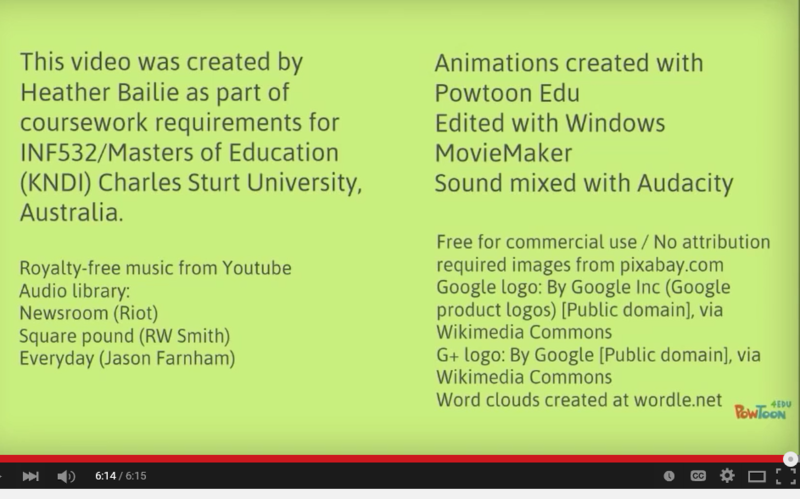 When we commenced work on our digital artefact, Powtoon was the first platform I investigated, and the content I included summed up what I was hearing from my colleagues. The clip is incomplete in terms of content, as I ran out of time – an issue with using free versions of such software! I have not attempted to add a voice over – just wanted to set the scene. I also investigated the new Office Mix add in for PowerPoint as an option. This would work well for teachers who have a number of already created PowerPoints and would like to revamp them for the digital world. This option allowed me to use some beautiful images but the recording of voice plus music wasn’t obviously possible and the end result was not well rendered. The mobile quality was very poor. This is the lower level of computer quality which was better. Note how the transitions make the voice over patchy. The third option was using screen capture software to create a film of something that was on my computer screen. For this I learned how to use Microsoft Lync recording. This is the Internet based phone system in our school, and offers webinar capabilities and screen casting. Last year I used the meeting capability for my Creative Coffee morning to include two of my classmates from CSU (Liz and Deborah) in our local event. You can read about it here: http://thinkspace.csu.edu.au/msimkin/2014/09/15/creative-coffee-inventive-format/. The list of conversations between the two external participants was exported straight from the Lync “chat”. This is what the screen capture option looks like. You can see why I rejected this option as unsuitable for this task: I could cope with my name and school appearing at the start but the “looks like you’re the only one in the meeting” did not convey the professional finish I required. I believe I could have edited this out, but I ran out of time to work out how. The program chosen affects the end product. Several scenarios were considered during the design phase: a circus type theme (ladies and gentlemen… plus drum roll); magic potion or superhero; and the selected beginning – and animated smile and voiceover inviting participation. This was considered more authentic, easier to deliver and more inclusive. It is important to have a story that allows the audience to feel included, and which quickly indicates why the message is important for each individual (Air, Oakland, & Walters, 2014, p. 34). That’s why some of these examples are so different from the finished product. So, in summary, teachers wishing to make digital artefacts need programs that offer the easiest option for creating and publishing the end product. Our role is to assist with the learning process, and too much time taken away from our primary focus is a disadvantage to our students. I did have problems rendering the scribe to film, and I contacted @Sparkol and @VideoScribeApp via Twitter. They advised me to lodge a ticket with support and provided the link to do so. I was really pleased to get a punctual reply. Unfortunately, it was too late to save my original production, which I had altered dramatically in order to meet the deadline for this task. This reflection is on the process and programs that were used to create my artefact which you can find here. The reference is produced by the VidoeScribe team and is useful for any type of digital artefact, although it is based on scribing as the presentation device. Air, J., Oakland, E., & Walters, C. (2014). 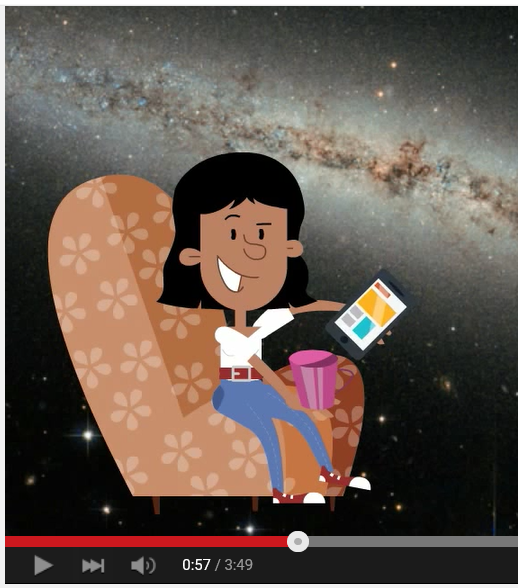 Video Scribing; How Whiteboard Animation Will Get You Heard. Sparkol Limited. Barrett, T. (2013). 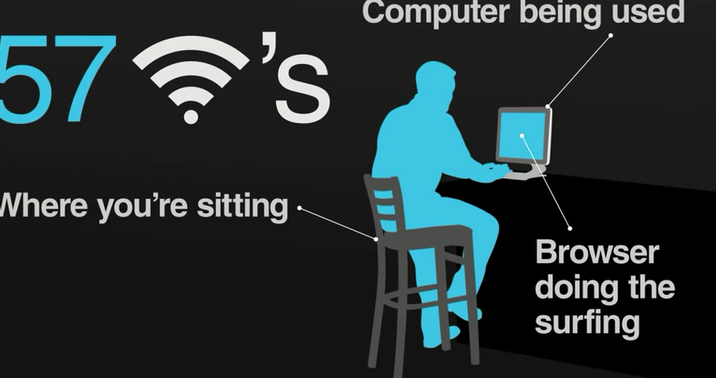 Can Computers Keep Secrets? How A Six-Year-Olds Curiosity Could Change The World. Edinburgh: No Tosh. Grift, G., & Major, C. (2013). Teachers As Architects Of Learning: Twelve Considerations For Constructing A Successful Learning Experience. Moorabbin: Hawker Brownlow Education. November, A. (2010). Technology Rich, Information Poor. In 21st Century Skills: Rethinking How Students Learn (pp. 275-284). Bloomington: Solution Tree. O’Connell, J., & Groom, D. (2010). Virtual Worlds: Learning in a Changing World. Camberwell: ACER. Pearce, J., & Bass, G. (2008). 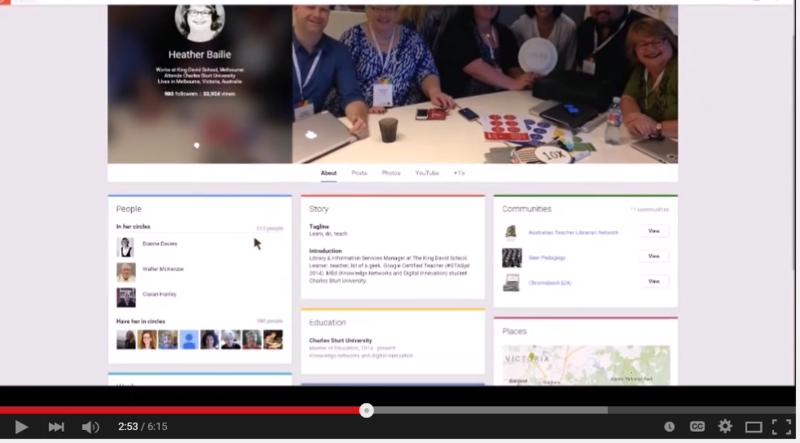 Technology Toolkit: Introducing You to Web 2.0. South Melbourne: Nelson Cengage. Rheingold, H. (2012). 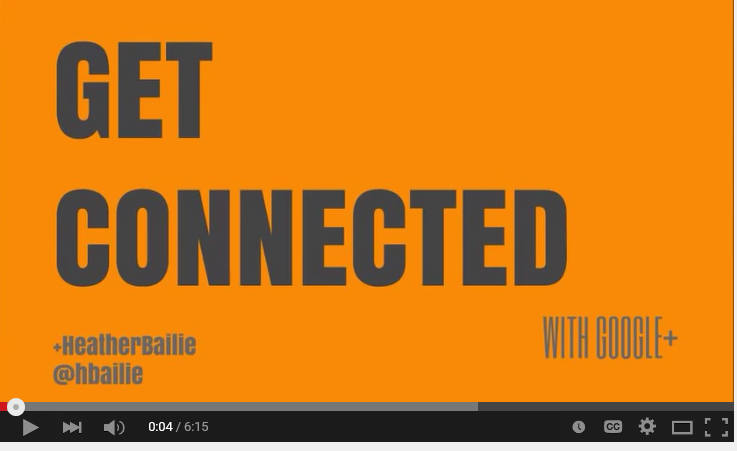 Netsmart: How To Thrive Online. London: MIT Press. Richardson, w. (2010). 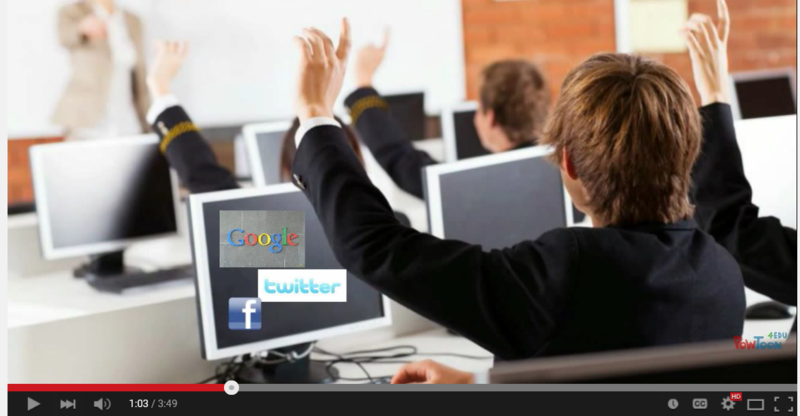 Navigating Social Networks as Learning Tools. 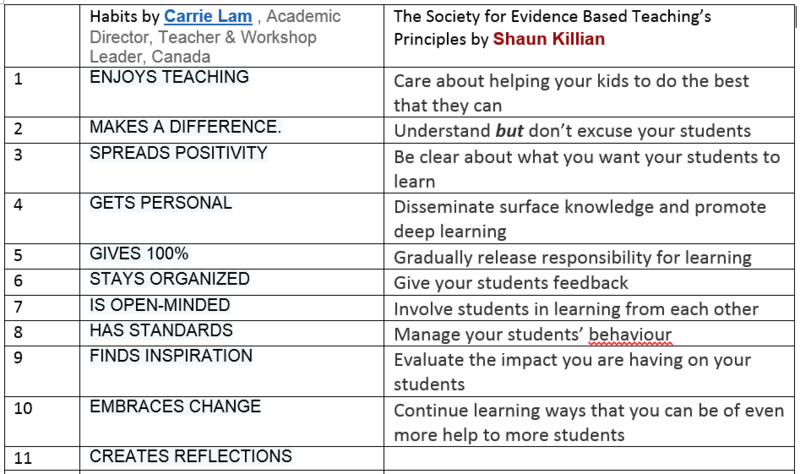 In 21st Century Skills: Rethinkig How Students Learn (pp. 285-304). Bloomington: Solution Tree. Walker, J. R., Blair, K. L., Eyman, D., Hart-Davidson, B., McLeod, M., Grabill, G., Vitanza, V. J. (2011). Computers and Composition 20/20: A Conversation Piece, or What Some Very Smart People Have to Say about the Future. Computers and Composition , 28, pp. 327-346. Wong, S. L., Hanafi, A., & Sabudin, S. (2010). Exploring Teachers’ Perceptions of Their Pedagogical Role With Computers; a Case Study in Malaysia. Procedia: Social and Behavioural Sciences, 2, pp. 388-391. As a possible topic for Assignment 1 and a basis for my artefact I am considering promoting Social Media. The work of Rheingold and his Attention, and Other 21st-Century Social Media Literacies (Rheingold, 2010), which contrasts effectively with Reclaiming the Students – Coping With Social Media in 1:1 Schools (Andersson, Hatakka, Gronlund, & Wiklund, 2014) is providing much food for thought. In many ways the classroom can be seen as a marketplace, with multiple seductive attractions from the online world competing with physical presence, and the issue of teacher-managed circumstances is certainly critical, as Andersson et al discovered in their interpretive research based on content analysis obtained via surveys and interviews (Andersson, Hatakka, Gronlund, & Wiklund, 2014, p. 40). In their findings 42% of students and 74% of teachers indicated that social media (particularly Facebook) were a distractor requiring management (Andersson, Hatakka, Gronlund, & Wiklund, 2014, p. 42). Management ranged from the punitive removal of devices to suggestions for self-management (Andersson, Hatakka, Gronlund, & Wiklund, 2014, pp. 45-46). Rheingold’s first focus: attention, reinforces this issue but examines it from a more positive perspective. He begins by highlighting the issue of Attention: affected by multitasking, or “continuous partial attention” or attention-splitting, or “hyper attention” (Rheingold, 2010). Wirelessly-webbed, always-on media presents a constant smorgasbord of options with which students can be distracted, in the same way many of their teachers may also be lured off task or topic (Rheingold, 2010). Rheingold’s solution is to model and promote focused attention when necessary, additionally acknowledging that there are times when it is truly beneficial to task-switch (Rheingold, 2010). We are currently teaching the first generation of young adults who have been raised with connective media devices since an early age, whose parents are also learning the concepts and parameters of such connectivity. Social mores for mobile phones in public spaces are still evolving and protocols for social media in public versus private settings are also in an emergent stage. This adds a degree of urgency to the debate about using such media as teaching tools and resources, which are now so much a part of the world beyond school, including work. Participation is the next aspect Rheingold addresses. While acknowledging the amount of facile blogging and tweeting he also promotes the value of online participation in social media: “When you participate, you become an active citizen rather than simply a passive consumer of what is sold to you, what is taught to you, and what your government wants you to believe. Simply participating is a start” (Rheingold, 2010). Inherent in teaching students to participate is the need to define the rhetorics of participation, to ensure that there will be sufficient numbers of well-educated citizens who are proficient at accessing and interpreting information allowing productive communication of their opinions in concert with other citizens – a literacy of participation (Rheingold, 2010). The next discussion revolves around Collaboration. It is important to note the distinction between collaboration, and collective action, something educators find difficult to construct lessons to really address. The 21st Century Literacy project defines Collaboration as one of five fluencies that today’s students need to master. Microsoft have developed an app which enables teachers to assess the degree to which a planned task is truly collaborative and not just “group work” (Moffitt, n.d). Collaboration offers educators a very powerful tool with which to engage students in some real world learning from experts beyond the classroom walls. Online social networks are a relatively recent addition to something which has always been an essential part of being human,. No longer do teachers have the physical limitations on which people and how many people we could include in an educational network. and the exponential value for facilitating group affiliations(Rheingold, 2010). It is the third value that offers the greatest learning opportunities for educating students to appreciate the notions and nuances of reputation and diffuse reciprocity, which are increasingly important online (Rheingold, 2010). On her blog post about back-channeling in the classroom, Edna Sackson refers to the case of teacher Silvia, who is introducing Today’s Meet to her class as being their own chat room; once the lesson has progressed she “switches to the ‘front channel’ to discuss what’s going on in the back channel” (Sackson, 2015). Teachable moments arise when students post inappropriately, which Silvia happily seizes ion by educating her students about audience and purpose. (Sackson, 2015). “Critical consumption, or what Ernest Hemingway called “crap detection,” is the literacy of trying to figure out what and who is trustworthy—and what and who is not trustworthy—online” (Rheingold, 2010). The critical need is for education in assessing validity, accuracy and authority. Collecting and curating information is another vital tool that must be modelled and incorporated. Darren Draper, with some sadness, comments in relation to the much touted technological education adoption model SAMR the “In SAMR-ry,5 I think many of us in education are frustratingly stuck in Gartner’s trough of disillusionment, trying to understand why million dollar purchases are only being used as textbook and bubble sheet alternatives (SAMR’s beloved S!) (Draper, 2014) “. Many educators await the day when research catches up with vision, and greater enlightenment more fully translates into more meaningful transformation of classrooms into spaces that are opened up by access to devices for enhancing learning activities with meaningful connectivity well beyond the local community (Draper, 2014). The journey commenced in INF530 has continued, and for INF532, it is hard to know what to identify as new. So many strands of my professional life for the last 8 or so years have been drawn together within this course – and some go back to my Masters of Education (Teacher-Librarianship) days when the www was a new entity! Social networking is the connectivity we are able to make with other like-minded people through social media such as Twitter (@margaretsimkin) , blogs (WordPress), and wikis (wikispaces for me); sharing information and film clips such as through vimeo (my preference – not that I use it much) or you-tube; keeping up with friends and family through Facebook (mainly personal use on this one); sharing images through Flikr (not very successfully) and Google plus; teleconferencing through Microsoft Lync (use this at work as our phone system too) or Google hangouts, and collecting and curating through Pocket, Pinterest or Pearltrees. As with many things, I know about and have often signed up to these things, but often lack the time to develop them properly! Having avoided blogging for most of the time I have known about it, this course has truly convinced me of its power. While appreciating forum discussions, I have found blogging to be helpful in terms of organising my own thinking and mastering the content presented to me. For this subject I have blogged about being a student for module 1.1, the new culture of learning revealed in readings for module 1.2 and the three challenges I believe we face as educators in the C21st. 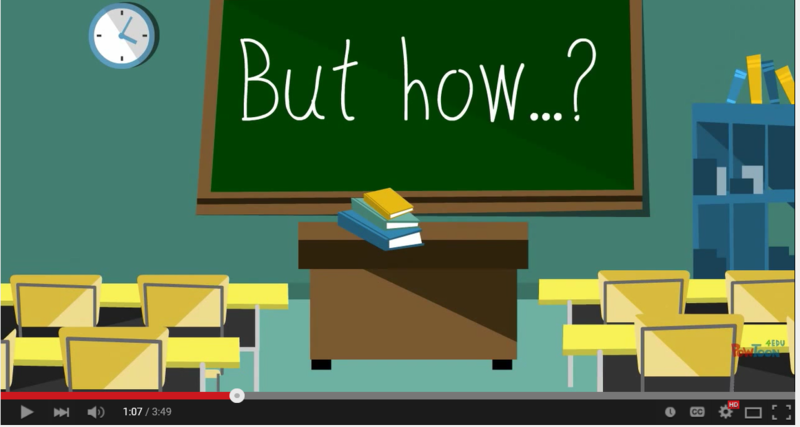 From Jackie Gerstein’s Powtoon converted to youtube clip I was reminded of the importance of translating pedagogical foundations to connects, curations and changed practices (Gerstein, 2012). 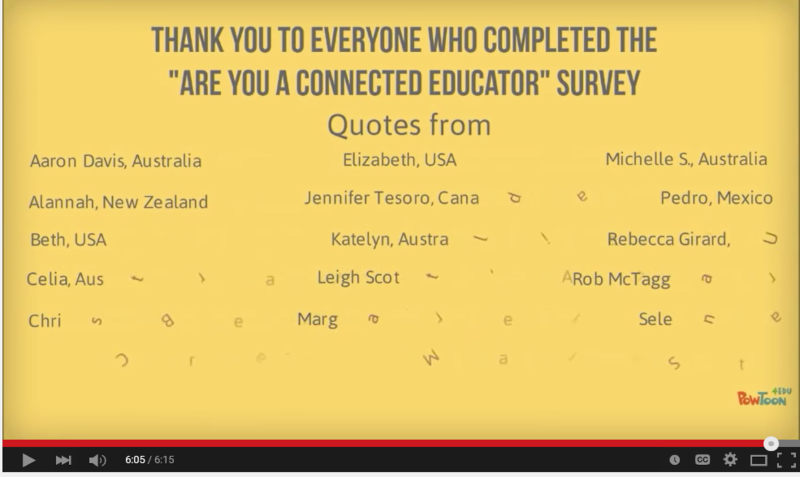 This led me to sign up for a Powtoon account to see what it can add to my educational tool kit. Sheryl Nussbaum-Beach and Lani Ritter are currently challenging me to consider what I know and how I apply it to my work (Nussbaum-Beach & Hall, 2012). As usual, I struggle to implement the concepts to their full extent due to the constraints of the curriculum within which I must work. Facilitating and inspiring learning and creativity: applying real world issues to VCE History is a challenge but the concepts of perspective (historians’ views) is an ongoing reality. Hard to spend too much time using current examples to illustrate the past. Personalising and customising work for students and applying a range of formative and summative assessment could be better in terms of designing and developing digital-age learning experiences and assessments but it’s tricky when my main exposure is in a VCE Year 12 subject. I am quite pleased with my modelling of working and learning in a digital age but have found through this course that my note-taking skills are a bit chaotic! With promoting and modelling digital citizenship and responsibility I am conscious of cutting corners from time to time; I forget to apply creative commons licence as often as I should. Professional growth and leadership are personal strengths. Professional learning opportunities provided by my school have enabled me to develop a wide range of skills in this area. This course is forcing me to apply many of the skills I have learned to my own learning, something it is easy to forget in the hurly burly of teaching from day to day. My main hope for completing this subject is to strengthen the foundations that I already have in place, applying more of the networking to my teaching and learning in a sustained and meaningful manner, and “meeting” more like-minded educators with whom to share my educational journey. Nussbaum-Beach, S., & Hall, L. R. (2012). The Connected Educator. Bloomington: Solution Tree Press. The new culture of learning described by Thomas and Brown resonates with many aspects of the Master of Education Knowledge Networks and Digital Innovation course that many students of this subject are undertaking. They define this culture as invisible, without traditional structure but operating in a defined environment which encourages the freedom to research (Thomas & Brown, 2011, pp. 17-18). Acknowledgement is given that playing in such a culture leads to the development of passions and ideas (Thomas & Brown, 2011, p. 18). This style of framework for learning cultivates citizenship, generates feedback leading to improvement for future students, and establishes the use of rich and highly textured examples of cross referencing and communication to form a learning community from the teachers and students within the group (Thomas & Brown, 2011, pp. 22-25). So many new “friends” who are also peers and collaborators have been introduced to each other in a virtual sense through the shared work on the study modules that guide our learning. Sharing a “creative coffee” for INF536 proved incredibly valuable in ways beyond imagination (thanks Deborah and Liz!). Encouragement from Heather Baillie saw me enrol in this subject, and commentary through Twitter #feeds (Simon Keily) supported me through frustrations and celebrations. Sharing blog posts and video footage of our concepts and workplaces was akin to a site visit (thanks Matt Ives), and gentle encouragement from our subject coordinators provided a platform from which to launch our own practical applications. For me, as a lone practitioner in a small regional school, the new culture of learning has provided a much loved and respected “faculty” from which to draw inspiration and strength. For students in my Year 12 History Revolutions class, I have attempted to create a similar environment. Working through collaborative learning activities using a range of techniques in 2014 was amazing, and similarly to Douglas Thomas, I felt that my students taught me far more than I taught them (Thomas & Brown, 2011, p. 25). This year a new tool, collaborative Microsoft OneNote, is encouraging a valuable mix of formal teacher notes (like those provided in CSU’s Blackboard), individual student notes, which are visible to me as the teacher, and shared working space which has superseded the Interactive Whiteboard activities paper-based work of the past. Giving feedback through audio recording that moves down the student’s page as aspects are identified for improvement or congratulations is amazingly powerful. In terms of difference from the case studies provided by Thomas and Brown, my one formal class is restricted because it is a VCE course examined externally in November. This precludes a higher degree of personal control than Sam experiences through his involvement in Scratch, Douglas’ Massively Multi-player Online Games course, or Allen’s self-taught programming skills (Thomas & Brown, 2011, pp. 22-28). It also makes creation of an online sharing community such as Diabetes Daily more problematic (Thomas & Brown, 2011, pp. 29-30). The very nature of the Australian Tertiary Assessment Ranking system makes students at this level very wary of sharing too much due to a fear of reducing their own results or enabling another to supersede their position within the statewide cohort. Even teachers guard their own material closely, and in some schools Principals are reluctant to allow their staff to share work in case it affects enrolments in a negative fashion. Within the more open library skill based programs offered to both teachers and students, however there is a glimmer of potential through such a culture of learning. Thomas, D., & Brown, J. (2011). Arc-of-Life-Learning. A new culture of learning, 17-33. Being a student in the connected world. 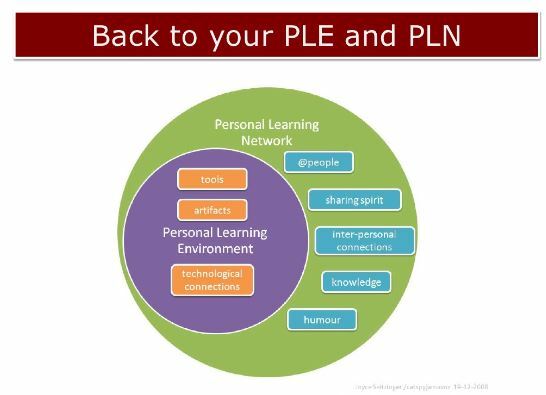 This slide shows the complete integration of peoples’personal learning environment within a networked world. Technological tools and artefacts provide the link between the way information is able to be collated, recreated and used to create new information which is then, in turn, shared. The spirit that exists in a knowledge networked society is pervasive and encouraging, and subjects such as Knowledge Networking for Educators continue to demonstrate this in its full capacity. These learning realities are well summed up in Microsoft’s ATC21S (2014) and are gradually taking hold within Australian educational settings. 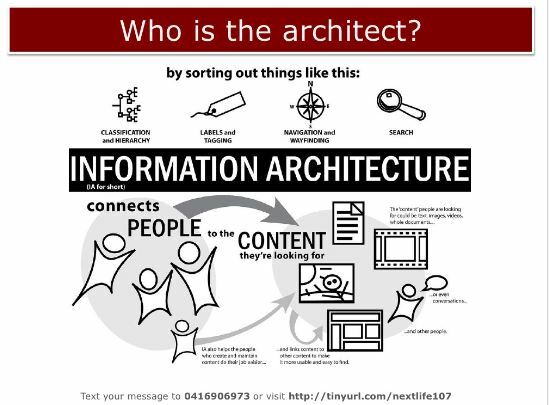 Part of slide 26, which is a diagrammatic representation of people’s interactivity. 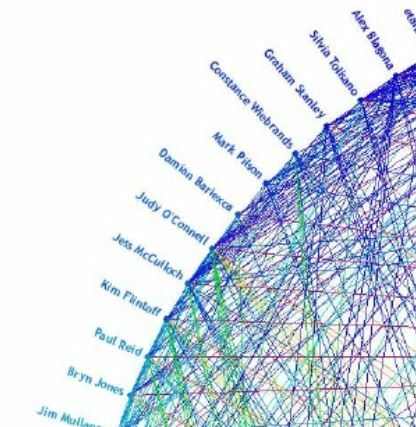 It shows names of people who have become experts in sharing information and modelling social learning interactivity. Among the names shown are: CSU’s Judy O’Connell, Victorian educator, Jess McCullogh, online content creator for education Bryn Jones from Perth, and Jim Mullaney, Google expert from RMIT university. Slide 36 is the a valuable insight into the relationship between who is sorting things out and for what purpose. The focus has been on the tools for quite some time, but the tools are of lesser importance that the information provided by them, the connections they enable between people and the learning they facilitate. It is in the facilitation process that information specialists such as teacher-librarians have a clear role to play within twenty-first century schools, facilitating the cultivation of imagination through assisting learners of all ages to harness information appropriate to their quest (Thomas & Brown, 2011 p.31). Bawden, D., & Robinson, L. (2009). The dark Side of information overload, anxiety and other paraxes and pathologies. Journal of Information Science, 35(2), 180-191. Brown, J., & Duguid, P. (2000). Limits to Information. In J. Brown, & P. Duguid, Social Life of Information (pp. 11-33). Boston: Harvard Business School Press.